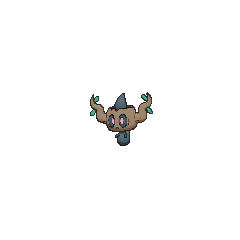 Phantump in game: 2,453 Who? Important notice! 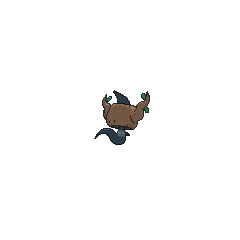 Pokemon Phantump is a fictional character of humans. 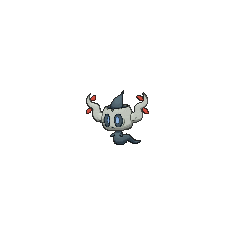 Phantump (Japanese: ?? ?— Bokurei) is a dual-type Ghost/Grass Pokémon introduced in Generation VI. Phantump is a spirit possessing a rotten tree stump, and lives in abandoned forests. 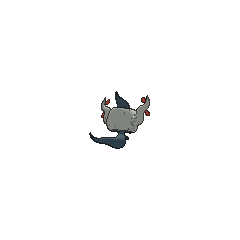 It is a wispy, grayish black Pokémon. A small tree stump covers its head, with a single, wavy branch situated on either side and extending upward. Each branch has two small, green leaves near its tip. 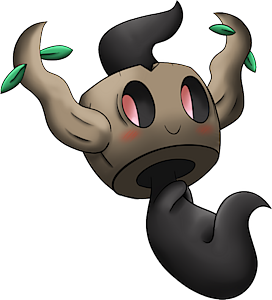 Phantump's red, oval eyes are visible through two holes in the body of the stump. On its body is a pair of tiny, stubby arms and a wispy tuft on top of its head. 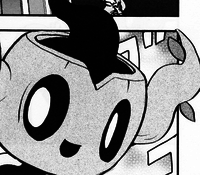 Its mouth appears to be on the stump itself rather than on Phantump's body. Multiple Phantump, including a Shiny one, made their main series debut in Making Friends and Influencing Villains!. A Phantump made its debut in Diancie and the Cocoon of Destruction. An image of a Phantump appeared in A Performance Pop Quiz!. Bokurei is an alternative reading of ?? kodama, which is a combination of ? boku (wood, tree) and ? rei (spirit, ghost).